August 11. Stonecold Country appeared here this evening ahead of their performance at the Harlow Country In The Park event the next day, which several of our supporters also attended. 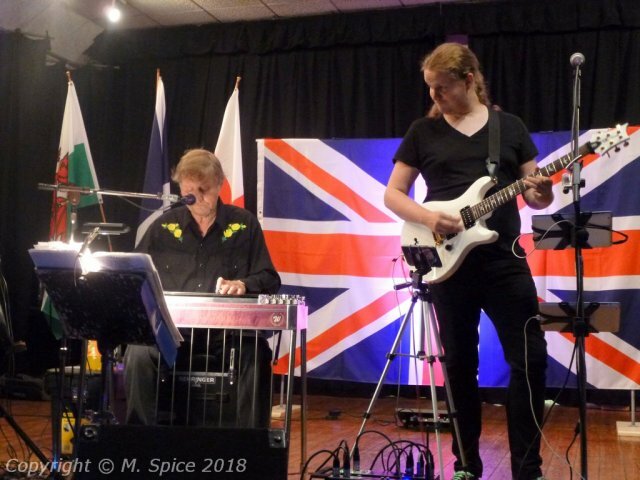 The father and son duo, Ray and Steve Kedge are certainly not a ‘run of the mill duo’ and for the most part I really enjoyed the combination of Ray’s pedal steel guitar and Steve’s lead and rock guitar along with lead vocals from Ray with Steve harmonising. The rock guitar featured in an excellent version of Ghost Riders In The Sky, one of several numbers that got good applause whilst the dancers took a break. A song that particularly appealed to me was Mo Pitney’s Come Do A Little Life which although released in 2016 I don’t recall having heard before. The Mavericks Ride Away was a floor filler which I liked even if Steve “hates it with a passion”. This song typified the very full sound for a duo that Stonecold Country produce. A contributor to this is Paul Wright (from Fool’s Gold) who produces their backing tracks. 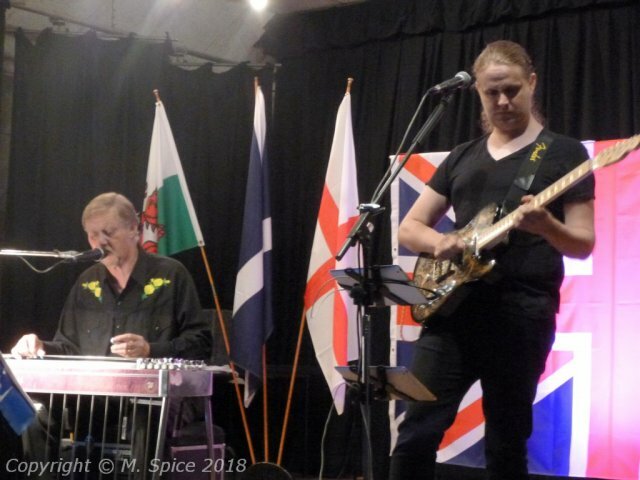 Congratulations to both Paul and Steve in being nominated for CCN’s Musician of the Year 2018 and to Ray who celebrates 50 years of performing country music this year. Definitely not in the country music category was Celine Dion’s My Heart Will Go On, performed in the final set, during which I was beginning to feel that it was the rock guitar that was going on for a bit too long. Brilliant as Steve is with his guitar work I think this was close to being too much of a good thing, a balanced view as I know some thought it was definitely overdone whereas others would have been happy with even more.